A non-league footballer was made to wait over two-and-a-half hours for an ambulance to arrive and take him to hospital. 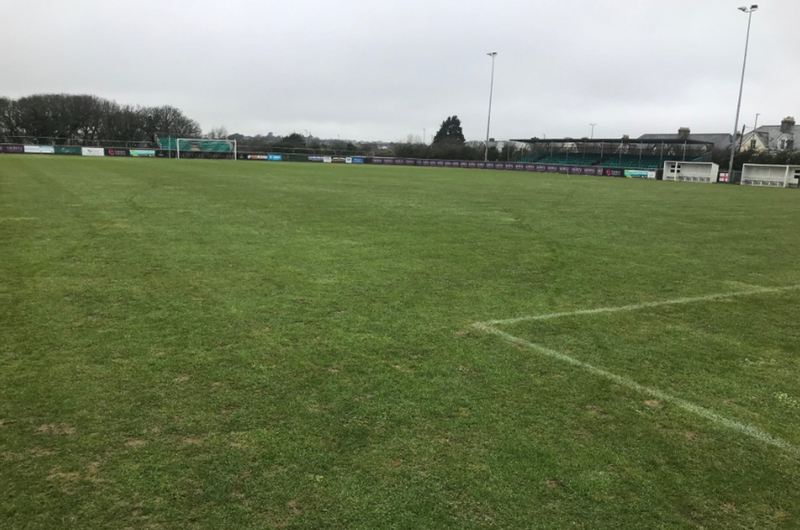 French midfielder Michael Herve, who plays for National League South outfit Truro City, suffered a suspected broken arm in the latter stages of Saturday's match against Concord Rangers at around 4.30pm, but did not receive assistance until just after 7pm. Herve spent almost three hours just laying on the middle of the pitch without any pain relief, before an ambulance finally arrived and took him to Royal Cornwall Hospital. The South Western Ambulance Service said that it "responded within targeted times". Due to the nature of his injury, Herve could not be moved until an ambulance arrived to help, but with the emergency services failing to arrive in due time a decision was taken to abandon the game on the 75th minute, with visitors Concord Rangers winning 1-0. The league will now decide what happens with regards to the result, with a replay this Tuesday looking hugely likely. Should that happen, it would mean that Essex-based Concord Rangers will face a second 620-mile round trip in the space of five days. Truro's physiotherapist, Ian Leigh, stayed with the midfielder until an ambulance arrived, using jackets and jumpers to keep him warm. Herve was lifted onto a stretcher by club staff soon after sustaining the injury, but was not not able to be carried off the pitch due to the severe pain he was suffering. Concord first team coach Darren Beale said that his side were extremely frustrated on their long trip back to south Essex from Cornwall. "The referee came to us and said 'I know it's a long trip for you so we will play on when the ambulance is here and taken the player away'. But Truro's chairman told the referee that they had no security officers after 6pm and so the game was abandoned." "Michael Herve sustained a serious injury following a heavy tackle at approximately 4.30pm on Saturday afternoon. "An ambulance was called and because of the nature of the injury, the advice that we were given was not to move him. "The ambulance service eventually arrived at Treyew Road at 7.30pm and gave 40 minutes of treatment to Michael on the pitch, which included two injections of morphine. "He was then taken to Treliske Hospital where he stayed overnight for further assessment during the course of Sunday. "We would like to take this opportunity to thank both the Truro City FC and Concord Rangers FC physios for their professionalism, which undoubtedly helped to relieve Michael of some of the pain and suffering whilst waiting for the emergency services to arrive on the scene. "We wish Michael a speedy recovery, further updates will follow."